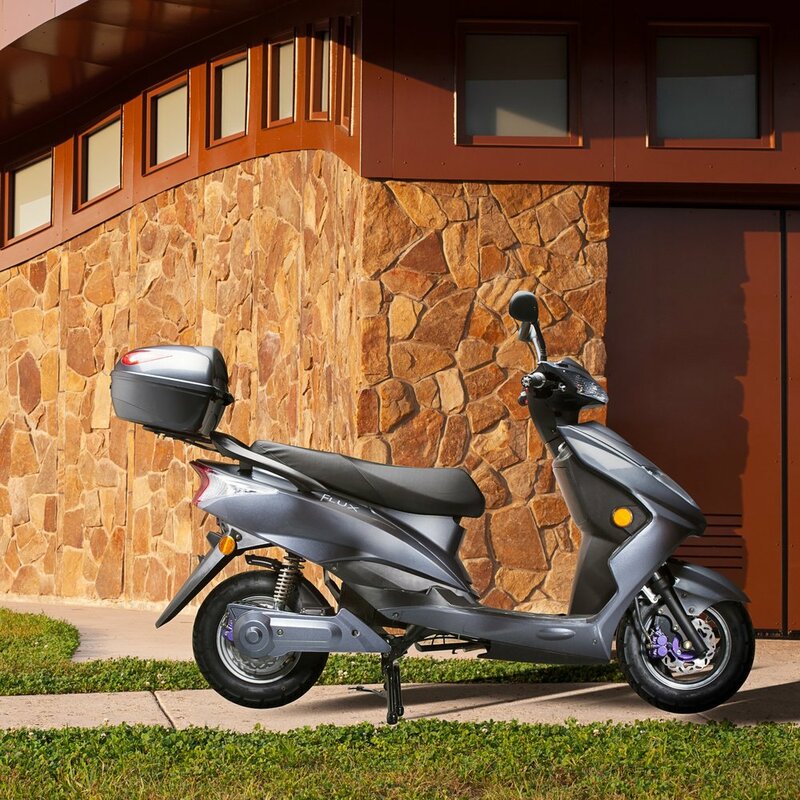 The perfect balance of range, charge time and speed for short distance transportation. The top speed of 38 mph is perfect for both neighborhood streets as well as keeping up with cars on busier roads. Acceleration is very responsive but also smooth. 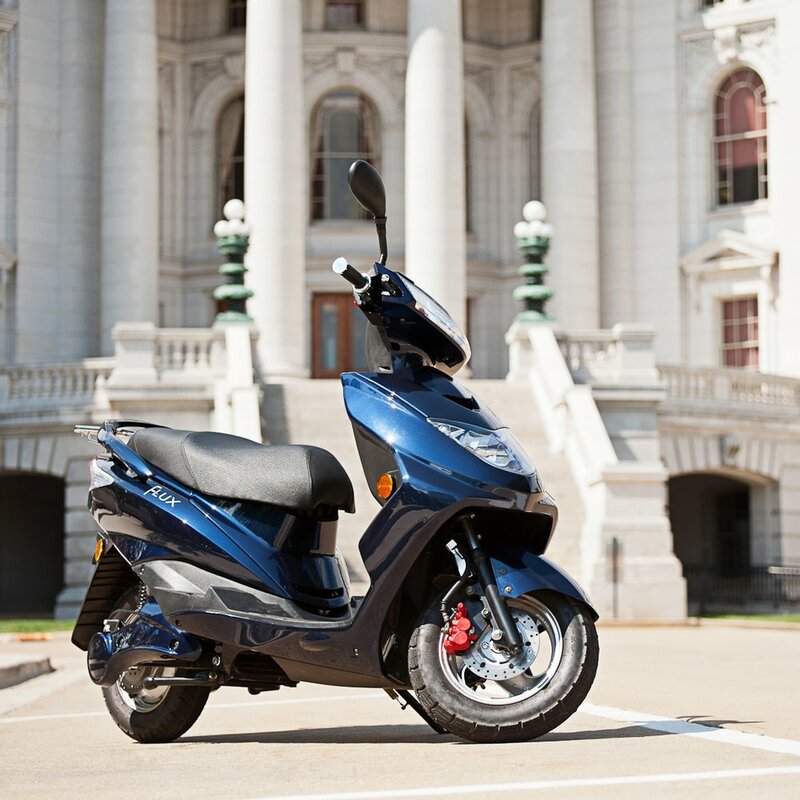 With 2 lithium-ion batteries, the range is up to 50 miles per charge. Even with 1 battery at 25 miles per charge, most clients only need to charge once a week. The removable lithium-ion battery plugs into a normal outlet and charges in only three hours. That means the process is very simple for you to do at home, so charging at a charging station is not necessary. During operation, the maximum noise level is 30dB where conversational speech is 60dB. The motor is literally whisper quiet so you can enjoy nature while riding. The excellent torque of the hub mounted brushless DC electric motor climbs hills with ease. Even our clients in San Francisco and Seattle have been satisfied. The Flux EM1 is comfortably sized so you can feel secure but it is still light enough so that it is easy to maneuver. Parking, it can fit anywhere. Depending on local regulation you may be able to park at bike racks, but parking on the street is convenient too as 6 Flux EM1s can fit in a standard parking spot. The front and rear disc brakes, combined with brake regeneration, are incredibly responsive. The Flux EM1 stops on a dime. The digital display gives an accurate range estimate so you never need to worry about running out of juice. Reliable production combined with an electric power train means the Flux EM1 is virtually maintenance free. Most of our clients have reported that annual checkups are not required! The warranty for the motor and controller is 3 years. The warranty for the battery, charger and all other non-consumables is 2 years. it is legal to ride, of course! The Flux EM1 can be registered, titled and insured in all 50 states.